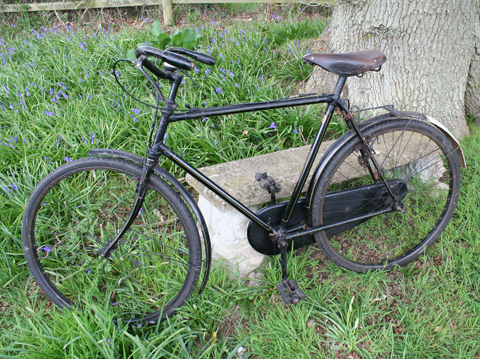 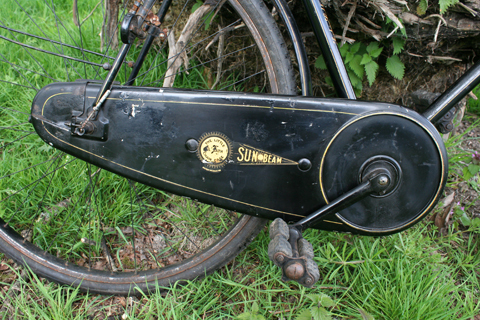 This lovely old Sunbeam is in excellent condition and ready to see faithful service this summer. 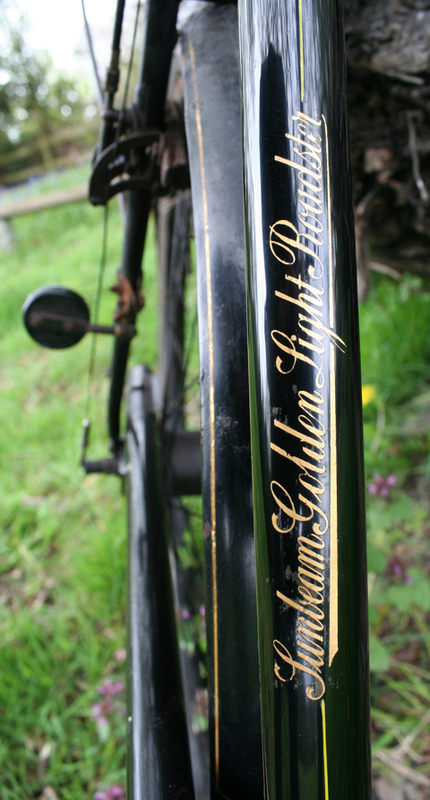 The wonderful thing about it is that the original transfers are in such good condition. 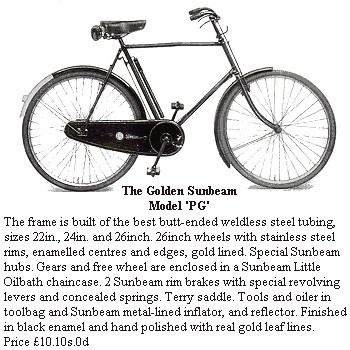 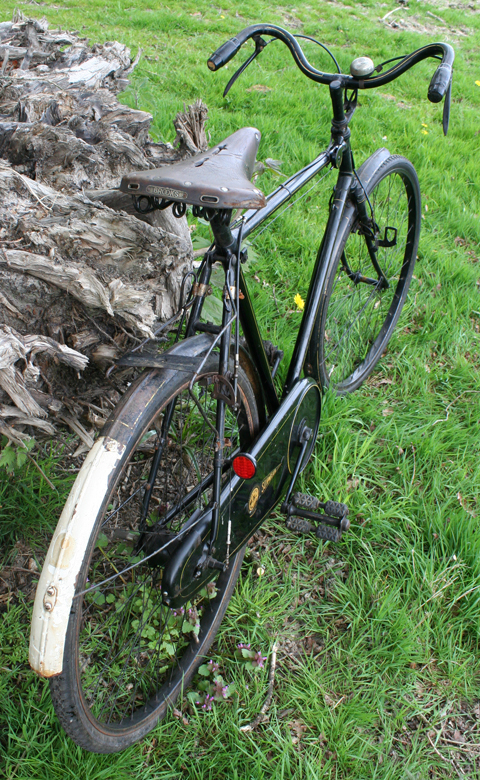 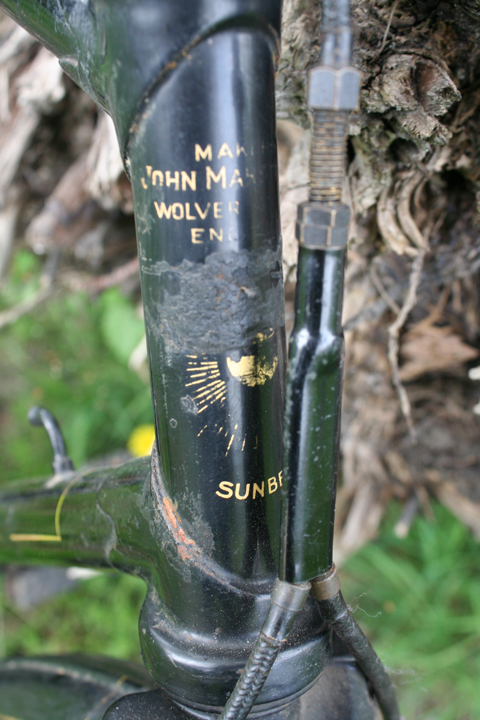 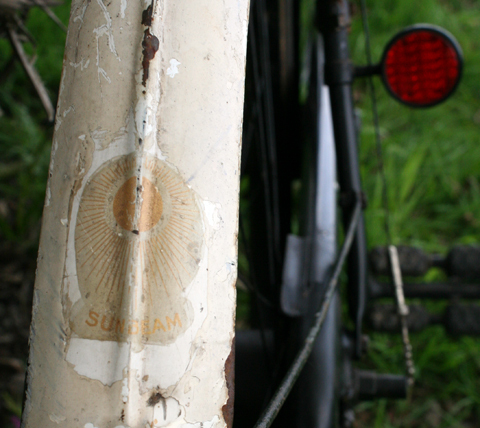 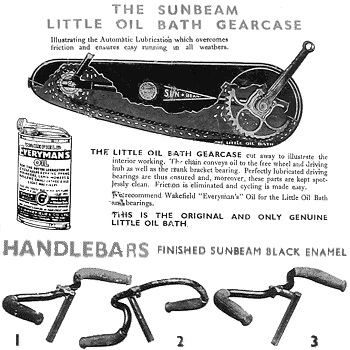 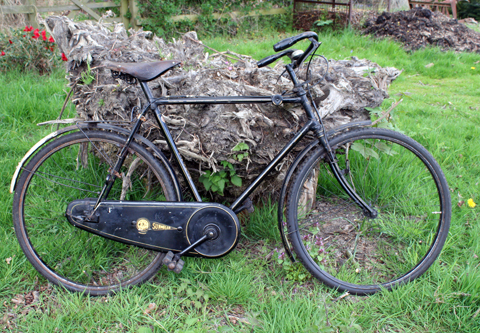 The seat tube transfer proclaiming Sunbeam Golden Light Roadster is particularly good. 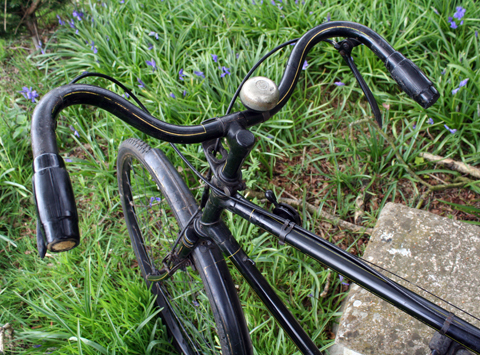 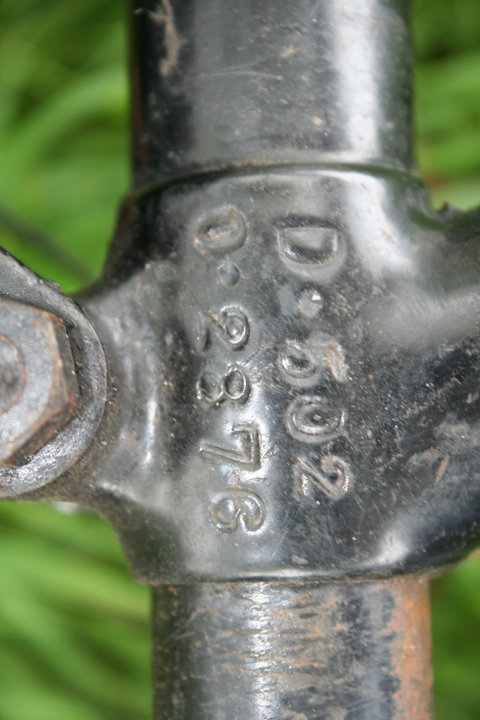 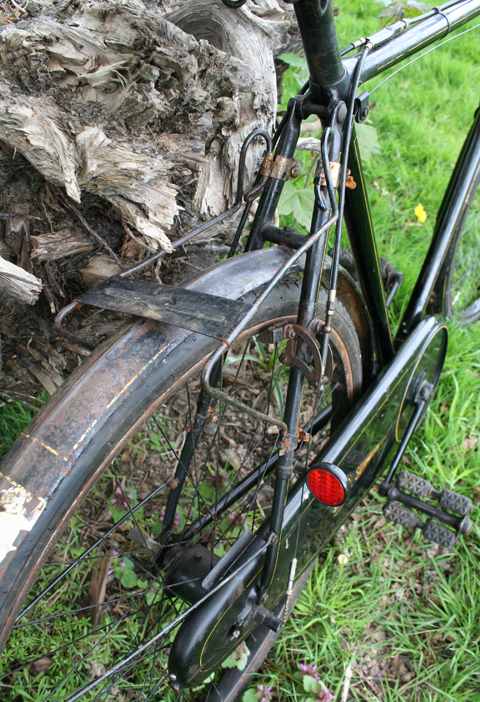 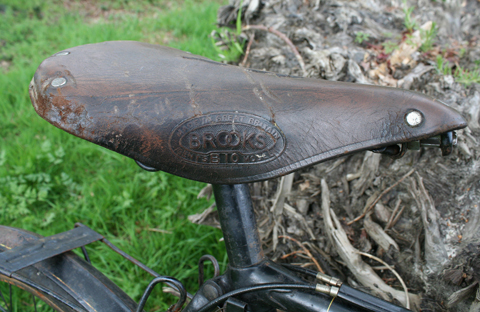 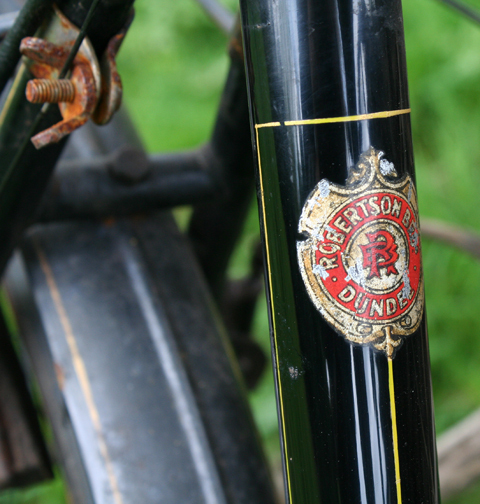 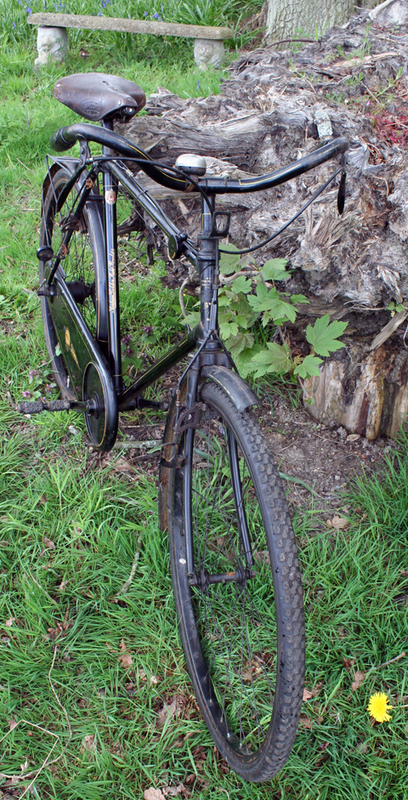 It’s rare to know much history of vintage bicycles, but this one also has a shop transfer at the top of the seat tube, so we know it was originally supplied by Robertsons of Dundee. 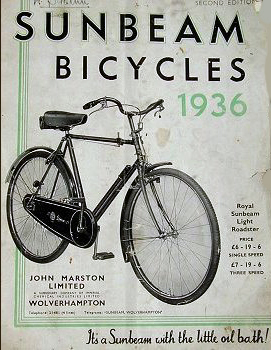 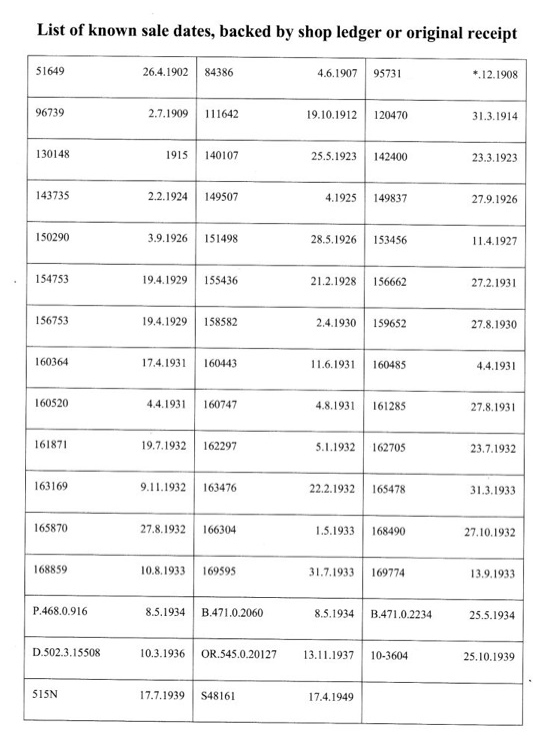 I’ve not managed to find out anything about this company, though there is a record of an early cycle business, James Robertson, of Albert Square, Dundee. 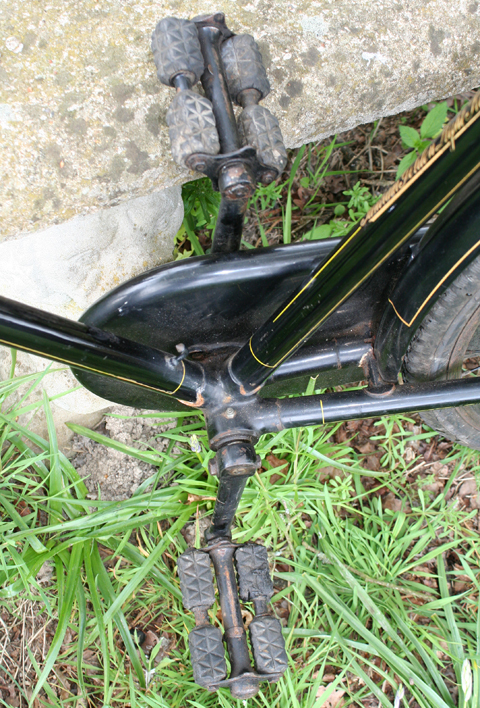 The original box lining on the machine is also in good condition. 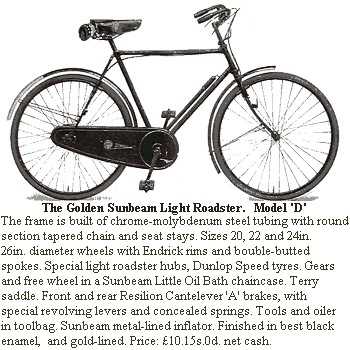 Compare the price of this Golden Light Roadster – £10 15/- – with the other Sunbeams, below. 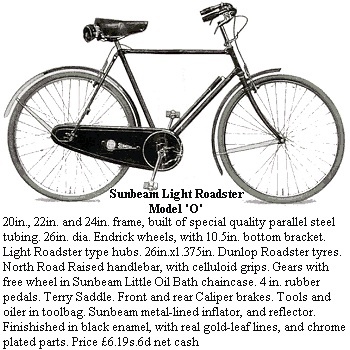 The ordinary Light Roadster was £6 19/- 6d. 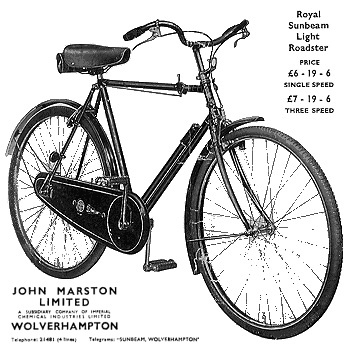 And, at £7 19/- 6d, you could save several pounds if you opted instead for the 3-speed Royal Light Roadster. 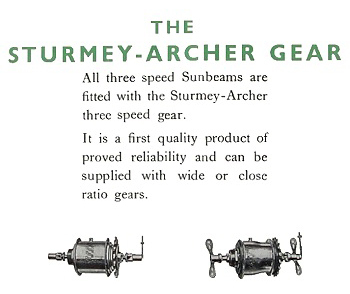 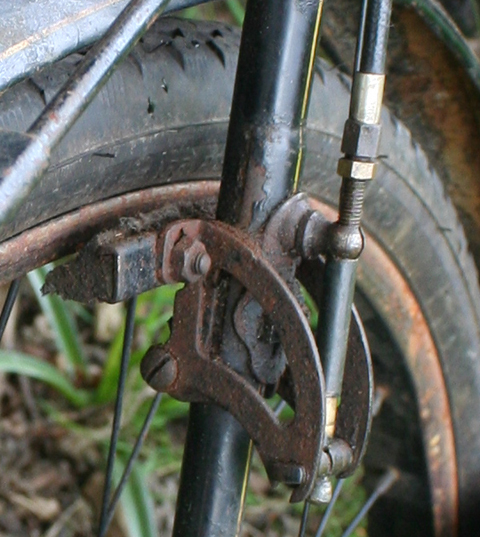 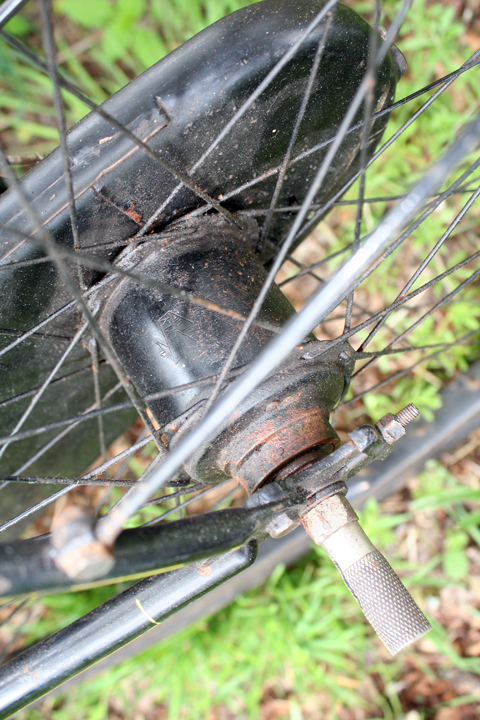 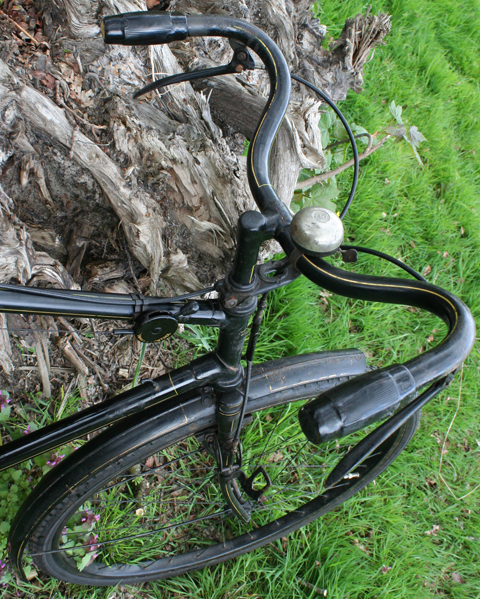 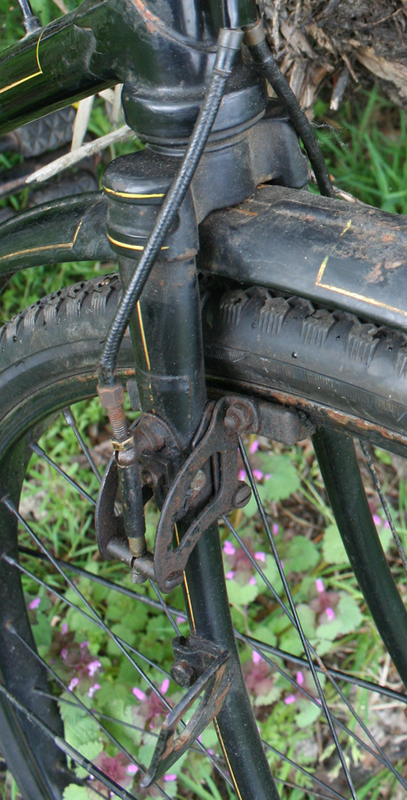 It’s fitted with Sturmey Archer gears.